Shills Skin Refresh Black Gel Mask is a cooling and deeply hydrating mask that will refresh and revitalise dry and dull skin whilst deeply cleansing it. The gel mask is infused with ultra fine bamboo charcoal powder to draw out dirt, excess oil and other impurities from deep within the pores. Skin Refresh Black Gel Mask is also enriched with caring aloe vera, chamomile and papaya extracts to soothe, nourish and moisturise your skin, giving it an instant boost of hydration and goodness. The result: clear, radiant, soft and supple skin. Apply the Black Gel Mask to a thoroughly cleansed face (making sure to avoid the eye area). Relax for 15-20 minutes while you allow the nourishing ingredients of the mask to soak into your skin. Then rinse off with lukewarm water. Maintain an optimal moisture balance and a healthy glow by using the mask 1-2 times a week. Pro Tip: increase the cooling effect by placing the tub in the fridge an hour or so before use. 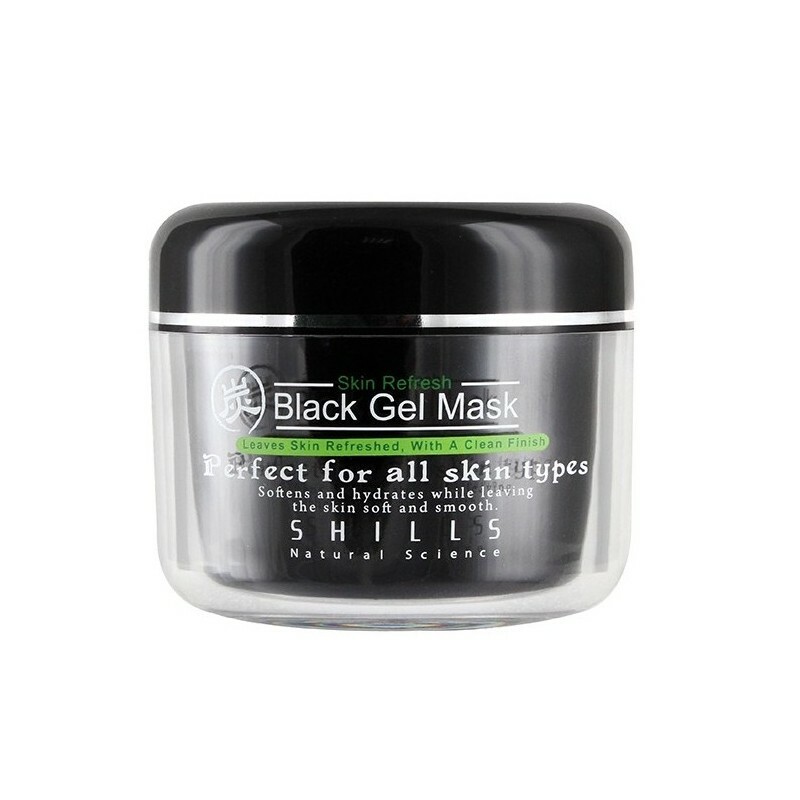 Shills Skin Refresh Black Gel Mask is suitable for all skin types. Store in a cool, dry place away from direct sunlight.